There are countless individuals training year in year out following the same old workout regime with no noticeable change ever occurring. Albert Einstein once said “The definition of insanity is doing something over and over again and expecting different results.” If you have made no or very little progress lately, it’s time to do something different! 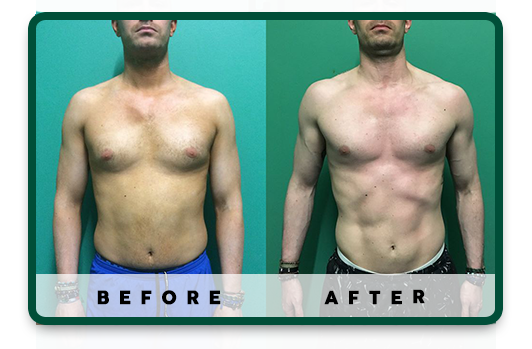 Our 12 week muscle building programme was designed with one simple aim, to pack on as much muscle mass as physically possible within 12 weeks. Every single variable is accounted for and nothing is left to chance! You will go through various different phases over the 12 week period, with each phase building upon the last. We have packed all of our muscle building knowledge into one 12 week programme. 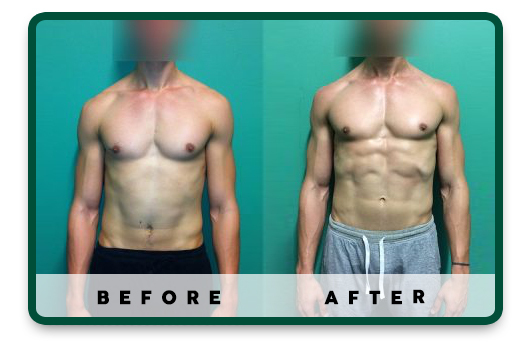 What if we told you, in just 3 months anyone can make a drastic positive change to their physique? Check out the results achieved from previous participants. The programme is suitable for anyone ranging from a professional athlete to a busy business executive. The programme will be tailored to your individual lifestyle, current fitness level, goals, physiology, wants and needs. Over the duration of the 12 weeks, the programme will be updated and adapted for you as you continue to progress through the programme. Each stage will build upon on the last, all designed to carve out a brand new you! How much muscle mass can I gain in 12 weeks? The average participant has been able to pack on 6-8kg of muscle mass, whilst also losing body fat in 12 weeks. However, the rate of change may vary from person to person, as there are so many factors that affect the rate at which one can build muscle. If you want to achieve similar results it requires hard work and following the programme to the letter. *Disclaimer | Results may vary | No guarantee of specific results. Step 1: Upon signing up to the programme you will be sent a welcome email containing various assessment forms, documentation and questionnaires. Step 2: Once you have submitted all relevant documentation, a date/time will be arranged for an in person consultation/assessment. Step 3: The assessment process. This consists of finding out your past and current training, nutrition, medical history, lifestyle and work commitments. This information will allow us to structure and tailor your bespoke training, nutrition and supplementation programme around YOUR lifestyle and specific circumstances. You will be required to keep a food diary of exactly what you consume over a seven day period. This information will allow me to accurately ascertain how much you’re currently eating and what positive changes need to be made. This will ensure your nutritional protocols will be specific and tailored to YOU and not generic guidelines and food pyramid charts. Initial compositional assessment using the cutting edge BioSignature method: A BioSignature analysis allows you to measure and ascertain a persons body fat percentage, amount of lean muscle mass and where on the body a person is storing large amounts of body fat which can be contributed to certain hormonal profiles and/or imbalances. This information can then be used when designing your training, nutrition and supplementation protocols. Also, we’ll be incorporating a monthly BioSignature analysis and progress assessment. 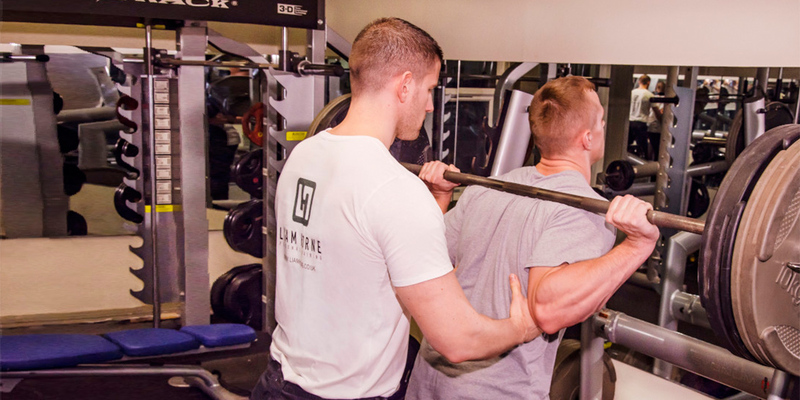 We will perform a series of specific exercises and movements to test your unique muscle fibre make-up. We all have a slightly different muscle fibre make-up and knowing yours will then tell us which training parameters best suit you, which will deliver faster results. This is where we find out your muscular strengths and weaknesses along with how efficiently your body moves. This information will allow us to really individualise and add the bespoke touch to your training programme, ensuring faster and injury free progress. Taking into account the physical assessment process, the training programme will be designed specifically for you to pack on muscle. This will be a 12 week training programme which will outline exactly what exercises you need to perform in the gym, along with repetition ranges, total number or sets, tempo and rest times. For our busy clients who travel regularly, we will provide detailed videos demonstrating and explaining exactly how to perform and execute each exercise on your training programme correctly. The nutritional programme will be designed in-sink with your training programme to adequately fuel your muscle building workouts and the growth of new muscle. Our clients nutritional plans are designed on the cutting edge nutritional software iNutrition pro. Your unique nutritional plan will break down exactly how many calories, macronutrients, meals and fluids you should consume over the 12 week programme. Nothing is left to chance! Once we have assessed all of the initial information, we will then design your unique muscle building supplementation programme. We will outline any suspected nutritional deficiencies and recommend any specific nutrients that could aid your muscle building efforts. A commitment of 2-4 one to one personal training sessions per week over the 12 week period is required. All personal training sessions will be conducted at the address found on the contact page. Weekly contact via email to ensure you understand everything fully. Nutritional plans designed on the cutting edge nutritional software – iNutrition pro. Educational manual: We want you to understand everything fully. You don’t need a personal trainer forever. Food delivery: If you want your food prepared and delivered to you this can be arranged. The price for the food delivery service is not included. For pricing and payment options, please get in touch using the form below.